Bierfest is jointly hosted by the ferocious female athletes of the skater-owned Philly Roller Derby, who are proudly pouring to raise funds for their new practice facility and for their national tournament travel schedule, and the German Society of Pennsylvania, the nation's oldest German-American cultural organization founded in 1762. Proceeds from Bierfest also benefit the Brewers of Pennsylvania, a trade advocacy group working to empower PA brewers and serve the interests of PA beer lovers. Discover Pennsylvania beers made in German-inspired styles in the main PA Beer Hall, honoring our state’s extensive historical and cultural ties to Germany. Fans of Germany's legendary beer styles will find a diverse and delicious range of beers from over 20 Pennsylvania breweries that hail from every part of this great state. Not simply Pilsners and Lagers, but Dunkels and Weizens, Kölsches and Altbiers, Maibocks and Doppelbocks, Schwarzbiers and Rauchbiers, plus Zwickels and Zoigls and Goses! Oh My! Savor the rainbow of flavors possible using only malt, hops, yeast and water in accordance with Germany’s famed ‘Reinheitsgebot’ beer purity law dating to 1516. Taste over 20 beer brands that hail from Germany (and other German-speaking zones of Europe) upstairs in the German Beer Hall or cruise a stunning array of imported suds at The Foodery Speakeasy & Import Bar, hosted by Philly's favorite bottle shop. Step out to the Alpine Firepit in the Winter Wunderbar Terrace to enjoy rare German craft beers on tap al fresco, like Braufactum's Progusta I.P.A. and the world's finest doppelbock, Ayinger Celebrator. Bierfest has it all: Roller-Derby Arm-Wrestling! Berlin-Style BEERlesque [PG-13]! Philly Bluegrass greats Man About a Horse plus -->Polkadelphia's oompah-funk! Sign up for Brauhaus Schmitz's Beer-Jello Masskrugstemmen, or check out the Edgar Allan Poe Cheese Cave & PA Cider Bar or have your mind blown by Les the Mentalist. VIPs get early access and a keepsake mug, while the VIP PLUS package also includes a guided beer tasting led by Philly's favorite drinks author and the mind behind Bierfest, Marnie Old. Nearly two dozen Pennsylvania craft and legacy brewers. where local artisans will showcase their devilishly delicious wares. To avoid paying the convenience fees associated with online ticket sales, Bierfest attendees may arrange to use a credit card to purchase tickets by phone or via PayPal. Contact the German Society of Pennsylvania by phone at 215-627-2332, Monday through Friday from 9am to 5pm. Pennsylvania brewers of German-style beers, importers of German beers and purveyors of German-themed goods are welcomed. For registration materials and further information about becoming a Bierfest participant, contact Bierfest founder Marnie Old at marnieold@outlook.com. Bierfest prides itself on offering extensive learning opportunities for the beer-curious. Up to fifty ticketholders may join the PA Cheese Guild in the Bierfest Academy for a special presentation at 3pm on "Pairing Beer and Cider and Cheese", to be led by local authoer Tenaya Darlington, aka cheese blogger Madame Fromage. Cheese seminar seats are first come, first served. Or, splurge for VIP Plus tickets to gain exclusive access to a spectacular guided beer tasting and seminar, hosted by the noted drinks authors Marnie Old and Lew Bryson. This seated seminar of 10 German and Pennsylvania beers will is on the topic of "Tradition vs. Trends in American and German Craft Brewing" and will delve into fascinating details for the beer-geekhood. Bierfest also makes an effort to inspire local Philadelphia-area home-brewers to try their hand at the challenging art of brewing German-style beers at home, by hosting the 4th annual Home Sweet HomeBräu Taste-Off, a two-tiered homebrewing competition, which takes place in the HomeBräu Balcony directly above the Pennsylvania Beer Hall. Jointly sponsored by HOPS, the Homebrewers of Philadelphia and Suburbs, and Home Sweet Homebrew Brewing Supplies, this competition's finalists pour samples of their beers for attendees to cast their votes in a "People's Choice" competition, as well as for an expert judge who will select which lucky amateur will be selected as the PRO-AM winner. Free Will Brewing Co. gives the PRO-AM winner the chance of a lifetime, to brew up a commercial batch of their winning beer, which will be launched at Bierfest 2019. And be sure to stop by the Free Will station to sample the Bierfest 2017 PRO-AM Winner, Chris Higgins' Kölsch! 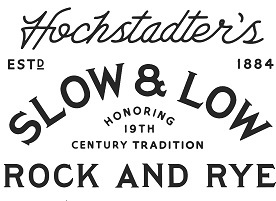 "Locals may not realize that Pennsylvania brewers lead the nation in championing beer styles of German heritage. 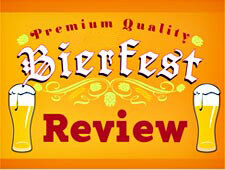 Bierfest is a perfect showcase for what should be a point of pride for Philadelphia's beer lovers." "Bierfest at the German Society is one of the most inclusive, inspiring events of the year for Yuengling, bringing together Pennsylvania's craft and legacy brewers for the love of great lager. I wouldn't miss it for the world." "German-inspired beer styles are the most popular on earth, with over 90% of the world’s beer made in the image of pale lagers. Pennsylvania has the longest history of German immigration and the strongest bonds to German culture of any state. No wonder we make more and better lagers and German-style beers than anyone else!" "You know I love me some smooth, cold-matured lager loveliness, and there's no place like Pennsylvania to get great fresh examples; er, outside of Germany, that is!"